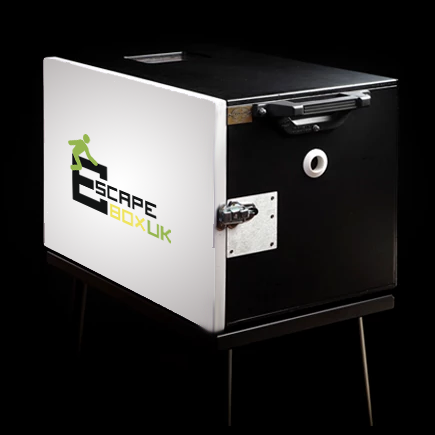 Our mobile escape boxes are designed to challenge participant’s thought process to encourage team work in a fun, engaging environment. We have a number of boxes, which cover different tasks, promising approximately 10 to 15 minutes of playing time each. 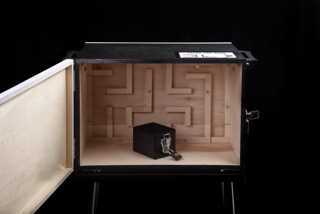 The aim of the game is to break into the boxes and solve the puzzles in each in order to collect as many points as possible within the allocated time. The team with the most points wins. 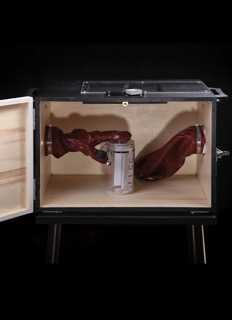 Every box will come with clues to help you along the way. Plus, throughout your event our staff will be on hand to offer guidance and to ensure correct gameplay – no cheating allowed! 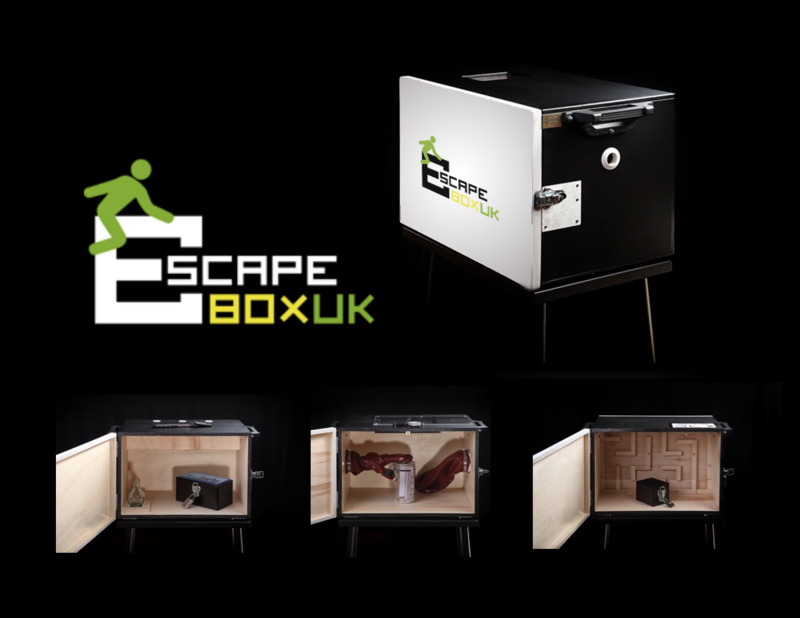 Our escape games are fully mobile and can be used in an outdoor or an indoor location. Bookings for our mobile escape game events require a minimum of 5 participants up to maximum 40 players. Participants will be split into teams of 2-5 players per box. 1. Your game master will begin with a quick group briefing so that everyone understands how the game works and the rules of play. A box will then be allocated to each team and the clock set ready to start. 2. On your marks, get set, 3,2,1 – GO!! 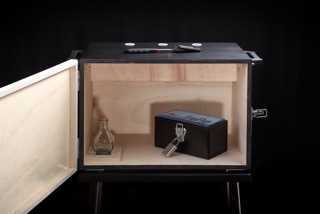 Racing against the clock, each team must overcome the first challenge of getting into the big box, by solving the unique conundrum to break into the box. No box is the same. Once in, there are 3-5 further puzzles, rated by points based on the level of difficulty, which need to be solved before time runs out. Only one box may be handled by a team at one time. 3. At the end of the 60-minute session the team with the most points wins! So collect as many points as possible from each box! The prize… well that’s for you to decide! - CORPORATE EVENTS - Bring something new to the table and capture your audience’s attention. Guaranteed to give a fun fuelled experience they will never forget! 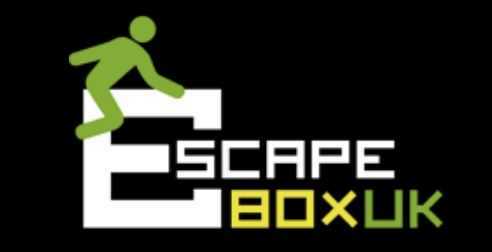 - TEAM BUILDING - Work together as a team or you will never escape the box! Mobile escape games designed to challenge your organisation and achieve business development objectives. - WEDDINGS & PARTIES - Think outside the box (pun intended) for guest entertainment at your next party, immerse your guests in our mind boggling games!